George Donikian is a long-serving and respected news reporter with Network Ten where he currently presents their First at Five bulletins. He commenced his media career in radio, where he worked for several regional stations before moving to Sydney to further his career. 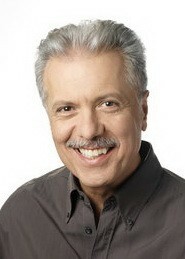 His work as an announcer, newsreader and sports reporter on commercial radio gave him a growing profile and in 1980, he was the given the opportunity to move to television, as the first news anchor of the critically acclaimed SBS World News; a position he held for the first eight and a half years. Leaving SBS midway through 1988 to join the Nine Network, George Donikian expanded his repertoire, featuring on shows such as the Wide World of Sports, Sports Sunday, Graham Kennedy’s Coast to Coast, the National Nine Morning News and the Today Show. He also continued to work in the radio media, both as a morning news presenter on the top rating 2DAY FM and as a stand in for John Tingle’s Talkback Radio with Radio 2GB. In 1991, Donikian joined Adelaide’s Ten News and in 2000, he moved to Melbourne to pioneer ADS10 10’s digital news service. As well as hosting the First and Five weekday news for Network Ten Adelaide, George has also been a ‘national’ weekend news anchor for over 5 years. He also appears in varied Channel 10 programs such as the AFL show ‘Before the Game’. George was the voice of the Olympic Soccer Tournament held at the MCG, during the Sydney Games in 2000, and the voice of Telstra Dome, during the Rugby World Cup in 2003. He also covered the opening ceremony and the Athens Olympics for Melbourne commercial radio in 2004. An accomplished speaker and Master of Ceremonies, George Donikian can bring a polished and entertaining edge to any event.